In Rot@tion! 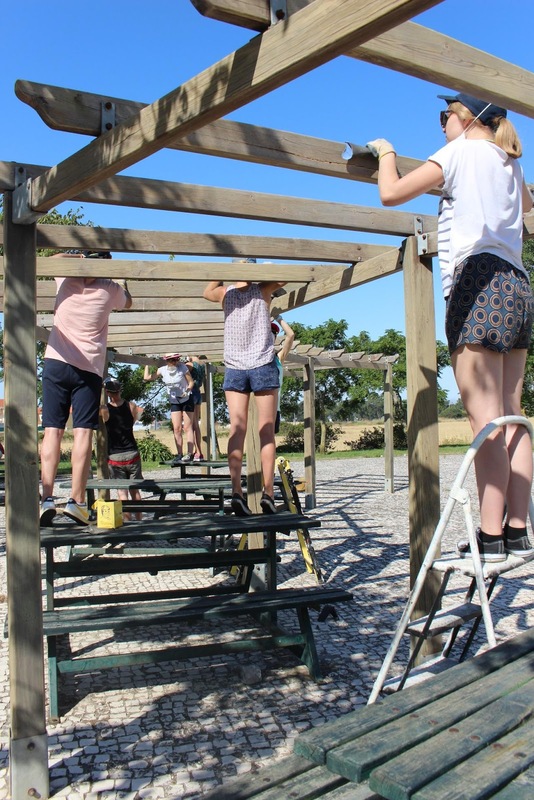 : Workcamp "Set the Party". Day 2. Dear friends, we are Bori and Ruslan, and we are going to tell you how was our first working day , which was on Monday. After planning our work, we had a delicious lunch , which gave us a lot of power to work. 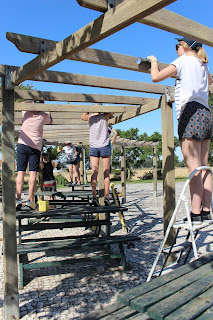 We were sanding the pergola, and removing the old wooden benches and tables. It was full of work day. 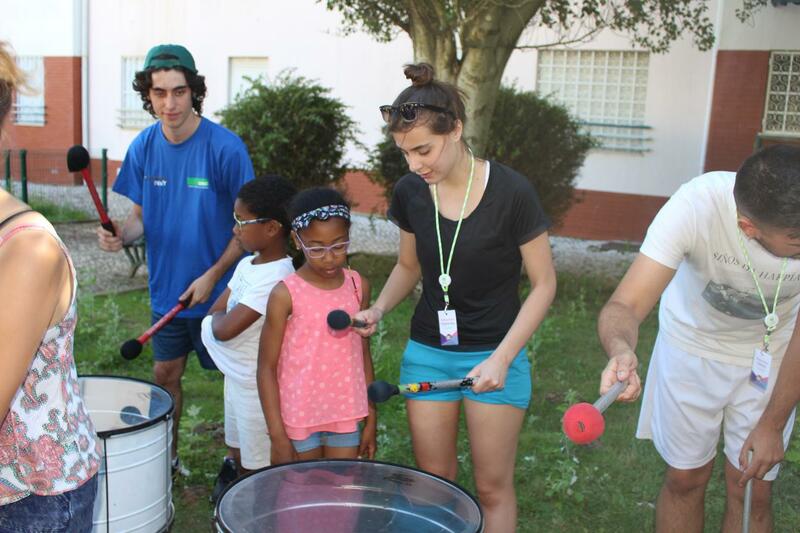 When we finished our work, some of us went to discover Lisbon with Pilar, where she showed them around. The other part of the group spent their time near the ocean on Cascais’ beach, they were swimming and playing games in the water and swimming. All in all it was a wonderful day, full of positive emotions, exciting activities, and unforgettable moments!